have fun like Pyassatsi (Golden Sands), Drouzba, Slunchev Bryag (Sunny Beach), Rousalka, Albena, Duni, Elenite, St. Constantin and Elena, motels, campgrounds and summer camps. Each of them Bulgarian mountains – Rila, Pirin, Rhodopes, the Balkan mountains, Vitosha, and so on., Have their own charm – snowy peaks glistening with the sun, covered by pine trees and all broad-leaved trees dotted with alpine forest odours Many cosy chalets and holiday homes on the slopes of their mountains. They are summer resorts Borovets, Pamporovo, Malyovitsa, Velingrad, Yundola and much more that are attractive in winter as in summer. There are 2,000 caves explored and unexplored in Bulgaria. In one, the Magura cave can be seen in the rock paintings made by people in prehistoric times. Belogradchik rocks, natural pyramids of Melnik, the Pobiti Kamuni (Stone Forest) near Varna, the Er Kyupria (Devil’s Bridge) in the Rhodope Mountains are some of the most curious of Bulgaria. Besides the natural beauty of Bulgaria are countless historical and cultural monuments built during the centuries of history of Bulgaria, the Thracian tumulus (Thracian tombs) near Kazanlak and Madara elCaballero near Shoumen, are two of the most important. Whole villages and towns of Bulgaria are real museums, such as Turnovo, Koprivshtitsa, Melnik, Zheravna, Kotel, Tryavna, Nessebur and many other places where the memory of the country’s past will never disappear. The Republic of Bulgaria is situated in southeastern Europe, north-west of the Balkan peninsula between 41 º 14 ‘and 44 º 14’ north latitude and 22 º 21 ‘and 28 º 36’ east longitude. The territory has 110,911 km comprising 22% of the Balkan peninsula. A measured along 520 km and width is 330 km. The perimeter of its borders is 2245 km. 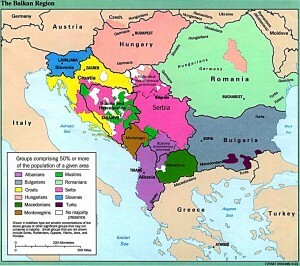 and is bounded north by Romania (the boundary line follows the river Danube and continued by land to the northeast), south to Greece and Turkey to the west by Serbia and Macedonia (Yugoslavia) and east by the Black Sea. It is divided into 9 provinces (in Bulgarian: oblasti, singular – oblast), Burgas, Grad Sofiya, Khaskovo, Lovech, Montana, Plovdiv, Ruse, Sofia, Varna. The climate in northern Bulgaria is moderate continental, while the south is continental but tends toward the Mediterranean climate. In regions with an altitude of 1900-2000 m above sea level is mountainous and along the Black Sea promenade. The climate of coastal regions is mild in winter and cooler in summer compared to the climate of the interior. The average annual temperature is 10.5 º C, in winter about 0 ° C. The lowest temperature -38.3 ° C was recorded in 1947. 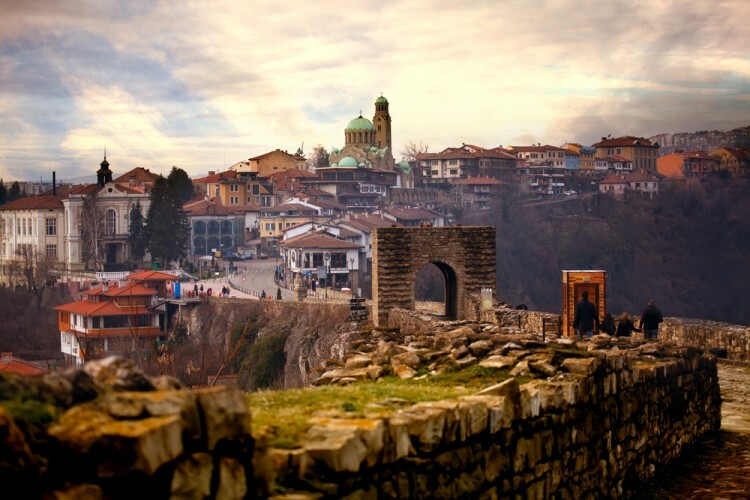 Remember you can check some Bulgarian phrases and words for your next trip to this amazing country in the Balkans. 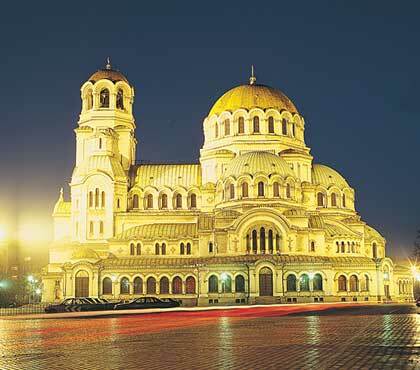 We are sure you will enjoy your travel and see a lot of pretty places in Bulgaria.